It’s been big week for The New York Young Lords and the Struggle for Liberation. On December 11, the book was reviewed in Centro Voices (the e-magazine of the Center for Puerto Rican Studies), featured on their 2015 “Essential Boricua Reading for the Holiday Season” list, and recommended as the starting point on that list. In The New York Young Lords and the Struggle for Liberation, Darrel Wanzer-Serrano offers both an important contribution and intervention to Puerto Rican, Latina/o, and Communication Studies, by further contextualizing “the critical engagement of the Young Lords’ grassroots rhetoric and political actions” (Wanzer-Serrano 2015: 8). Although other important works on the Young Lords exist, what Wanzer-Serrano is careful to offer here is not merely another historical analysis of the ways in which activism is performed (or enacted) but how decoloniality emerges, is imagined, and is lived through the words and actions of the Young Lords. Through extensive archival research, oral histories, and theoretical unpacking, Wanzer-Serrano’s book situates the critical importance of the rhetoric behind the organizing work of the Young Lords and how affective strategies became central to their struggle for community control. To be sure, Wanzer-Serrano’s contribution is an important one, and very timely, as we are again witnessing a rise in community based activism in these very communities. To make things even better, the book was first runner-up for the Inside Higher Education Readers’ Choice Award. Losing out to T.S. Eliot and besting Umberto Eco and Santa’s Elves (I’m not even joking), it was a tremendous honor to be nominated let alone rank so highly amongst real and mythical figures. All of this news is so exciting as the semester winds down. This was a big term for the book, which kicked off with a three-site tour in New York and finished with a two-site tour in San Francisco — both of which are covered on the Speaking Schedule page. Next semester has some fun things in the works, starting with a two-day event at Dickinson College, sponsored by the Popel Shaw Center for Race & Ethnicity, which will include former Young Lords Iris Morales and Denise Oliver-Velez! Well who would have guessed? One day after submitting my letter to the editors at the NY Daily News in response to the terrible opinion piece by Matthew Hennessey, titled “Today’s New York, Saluting 60s Radicals,” they actually published a version of my letter. Sure, they removed the rebuke of the paper for messing up yet again; but at least a dissenting voice got some column inches. I guess writing a letter to the editor might actually be worth it in this day and age. If you happen to read the NYDN and have a physical copy of the paper, please Tweet me a picture of the printed letter and I’ll add it below, here. Today’s opinion piece by Matthew Hennessey, titled “Today’s New York, Saluting 60s Radicals,” is yet another embarrassing and unfair editorialization of the Puerto Rican community. You would think that the Daily News had learned its lesson after its admittedly deceitful coverage of the 2015 Puerto Rican Day Parade garnered widespread condemnation; but apparently, you have learned nothing. I want to focus my attention on the last line of the piece, which calls the Young Lords “bullies who weren’t above using terror and intimidation to advance their radical left-wing agenda.” Yes the Young Lords were an unapologetically leftist organization; but “bullies” who used “terror”? This is journalistic sensationalism at its very worst. It’s one thing to have a perspective (even one that’s politically opposed to the revolutionary politics of the Young Lords); but it’s another thing entirely to engage in lazy, faux journalism rooted in fear mongering more than integrity. As the author of The New York Young Lords and the Struggle for Liberation, I can tell you that such editorializing is false and ignores history. The Young Lords didn’t terrorize or bully. Their first direct action campaign revolved around cleaning up the streets of East Harlem. They followed that by doing door-to-door tuberculosis and lead poisoning testing programs. Yes, they took over a church in El Barrio; but that was because it was the only church not serving the community; and the takeover happened only after a prolonged period of petition and protest. The Young Lords’ revised Program and Platform. Contrary to to what Hennessey wants us to believe, it was the Puerto Rican community who was terrorized by New York City and its police force. They are the ones who brutalized Young Lords members and other Black and Brown people with shocking regularity (and as anyone with a pulse knows, continue to do so today). It was the people of El Barrio, the South Bronx, the Lower East Side, and elsewhere who were terrorized by slumlords, Poverty Pimps, and allegedly helpful social services — places like Lincoln Hospital, which had been condemned by the City but continued hacking up poor African Americans and Puerto Ricans. It was direct action by the Young Lords that helped to change some of those conditions and provide the people of the community with the resources — intellectual, political, and material — to fight injustice. The Young Lords rose in response to such everyday acts of terror, bullying, and structural violence. They gave their communities hope that they could do something about the conditions that haunted their lives. Through their community education programs, they challenged colonialist misinformation about Puerto Rico and Puerto Ricans. They directly confronted racism in their local communities and within the Puerto Rican community itself. They provided health, clothing, and food services to the communities in which they were active. And they helped to spread and inspire joy and celebration about Puerto Rican culture — all of which are things that the current multi-site exhibition titled ¡Presente! The Young Lords in New York (at the Bronx Museum of the Arts, El Museo del Barrio, and the Loisaida, Inc. Center) seeks to address. Neither bullies nor terrorists, the Young Lords helped people take back their communities and institutions and take a stand against oppression in its many different forms. They worked hard to decolonize their communities through education, direct action, service, protest, art, and more. And for those reasons, we oughtn’t fear their legacy, but celebrate it and find ways to learn from them today. A shorter version of this blog post was sent to the NY Daily News editors on 7/27/15 at 11:00 a.m.
UPDATE: Part of the letter made it into print. Click here for the full update. On July 26, 1969, the New York Young Lords announced themselves to a public audience at a Tompkins Square Park rally. The next day, they were blocking the streets of El Barrio with trash, protesting both their unsanitary living conditions brought on by willful neglect of their community and the sanitizing force of “the system” — it’s capacity to nullify resistive movements and homogenize difference. The first New York-rooted, radical Puerto Rican group of the post-McCarthy era, the Young Lords were central to a set of transformations in their community and beyond. This group of young people spoke truth to power and mobilized thousands of supporters in the communities to which they anchored themselves and their activism. But why, after all of these years, has still so little been written on the New York Young Lords (and even less on the original Chicago chapter or the branches in Philadelphia, Bridgeport, etc.)? Appearing as the main subject of only a handful of articles and book chapters — and appearing, more frequently, as an aside or summation — the memory of Young Lords has circulated like a ghost for leftist Puerto Rican academics. Is it because the group, ultimately, wasn’t instrumentally “successful” in many of their specific interventions? Is it because so much of the scholarship coming out of Puerto Rican studies has focused on older histories, literary and cultural studies, and so on? Who knows; but more work needs to be done. My recently released book, The New York Young Lords and the Struggle for Liberation (Temple University Press), is one such effort at filling out the history of the Young Lords in New York. Focused largely on the group’s early activism, I craft a critical-interpretive history of the Young Lords to help introduce them to a broader audience. Beyond the historical point, the book is also an effort to enrich our understandings of decolonial praxis and its potentials. Decolonial theory — especially as engaged by scholars from Latin American and Latin@ contexts — has evolved well over the last couple of decades. I believe it can be pushed further via engagement of particulars, of the grounded ways in which people and groups seek to delink from modernity/coloniality in their lived environments. In the fourth chapter of book, I examine the Young Lords’ “garbage offensive” as an activist moment that speaks to/through multiple gestures of decolonial praxis. As their first direct-action campaign, the Young Lords helped craft the space of El Barrio as a colonized place, one in which broader based efforts at politicizing the residents would be necessary. Crucially, rather than merely asserting themselves in El Barrio, the Young Lords listened to the people in order to discern their needs, which is how they came to the issue of garbage in the first place. In listening to the cries of the dispossessed, the Young Lords engaged in a key practice of decolonial love and went on, further, to model such love in the immediate community and beyond. Now, there is some question as to how unique activism around garbage was to the Young Lords. As I talk about in the book, there is evidence that a branch of the Real Great Society has engaged in similar garbage protests earlier than the Young Lords. What’s important here, however, is not the question of who did it first, but the different issue how they came about the idea, gave it priority and presence, and cultivated political transformations in the community that could transgress constructions of Puerto Ricans as a political, docile, and so on. Although my book engages in detailed analyses surrounding the garbage offensive, the church offensive, their transformations surrounding gender, their articulation of revolutionary nationalism, and their engagements of history, more work remains to be done. Aside from a brief mention, I devote little attention to their takeover of Lincoln Hospital in the Bronx. I barely write about the branches that sprouted up outside of New York City. My hope is that others will continue to add to the breadth of the Young Lords’ history in ways that scholars have done with the Black Panthers, the Chican@ movement, and beyond. As one recent report puts it, “The time is ripe for a look back at one of the most potent and political organizations of the 20th century.” Running now through October, ¡Presente! The Young Lords in New York is a multi-site exhibition of Young Lords art and activism at the Bronx Museum of the Arts, El Museo del Barrio, and Loisiada Inc. Through such exhibitions and more scholarship — not to mention reporting in outlets like the Wall Street Journal, Al Jazeera America, and the New York Times — my hope is that memory of the Young Lords can live on and continue to inform public debates and activism now and into the future. **A version of this post first appeared on the Temple University Press Blog. What is the National Puerto Rican Day Parade to a Boricua in Iowa? Author DarrelPosted on June 14, 2015 Categories From the Archive, New York, News, Young Lords1 Comment on What is the National Puerto Rican Day Parade to a Boricua in Iowa? It’s a big weekend for Puerto Ricans in New York! The annual “National Puerto Rican Day Parade” in Manhattan will run from 11am-5pm EDT on Sunday June 14 and the parade returns to Brooklyn’s Sunset Park with a parade that goes from 5-8:30pm. Beyond pride in being Puerto Rican, Boricuas from around the world will also be celebrating a rich cultural heritage and a long history. 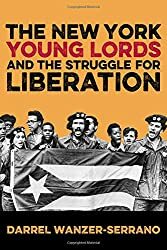 As I write about in my new book, the Young Lords (in New York, Chicago, Philadelphia, and elsewhere) are a key part of that history in the diaspora. My New Book: 20% Off! File this under shameless self-promotion … and coupons. It’s about the same price on Amazon (which might make better financial sense if you have Prime); but it’s also nice to buy directly from the press. Click the image below for a printable version of the flyer with the discount code. In the meantime, stay tuned for more posts about the New York Young Lords and information about the book in the lead-up to its release this June/July.